And then, there are all those other moments, hours, days, months and even years when things seem painful, difficult, intolerable, stressful, bleak, or just plain meh! These are the times when a disappointment or loss, an accident, a series of events, a trauma, a life-circumstance, a relationship, an illness, a calamity, man-made or natural disaster usurps our rightful place center stage and begins to play the lead role in the unfolding narrative. Like our clients, therapists too are familiar with these struggles. We are often drawn to the therapeutic arena from our own desire to know, to heal, to learn, to understand and to reclaim our own stories. Rajani & her hero’s journey: Over a dozen years ago, I was a bright-eyed Masters student, eager to learn everything I possibly could about the field of psychotherapy. I entered my first practicum working with severely emotionally disturbed teens at an alternative school site. Things seemed to be going quite well, when seemingly out-of-the-blue, one Friday afternoon, I found myself choked in a headlock, in a clinic room, with a large, angry youth. Suffice it to say, I made it out of the room alive but in acute shock from this very unexpected and traumatic event. This was the call to my hero’s journey, a sudden encounter with near-certain death which put an end to my ordinary world, and set me on the quest for meaning and healing. Enter my ally: my therapist. While talk therapy could help me access some parts of this trauma easily, there were other parts that my frightened, oxygen deprived brain and bruised body had locked away. For these portions, it was EMDR therapy that offered the key to accessing my inner strength, courage and my own healing from deep within myself. Transformed by the trauma and the healing, EMDR therapy became my gift to healing the trauma of the brave individuals who come into my practice. Jamie & her hero’s journey: When I began working with young people during my clinical internship, I found myself being deeply triggered by how I saw various systems treat the children in my care. Witnessing these children not being able to self-advocate stirred up the maelstrom of some old childhood wounds I still needed to address. After continuing to zone out at the hospital where I interned, a colleague of mine suggested that if I didn’t get more therapy, I would never last in this field. I protested, having experienced so much cognitive-style talk therapy and learning all the lingo of healing in many 12-step meetings. He recommended that I go see a therapist in a nearby town who was known for doing all of the “weird stuff.” After hearing a bit of my story, the therapist handed me a brochure for this approach called EMDR. As soon as I read some of the backstory, I knew it offered me something that would take me to a deeper place than talk therapy ever could. After two major rounds of EMDR therapy over the course of a year, not only was I able to survive working in the helping professions, I grew to love what I do as a helper. The personal torment I experienced in my own inner world cleared as I began to develop new beliefs about myself. After receiving EMDR therapy I knew that I had to offer this modality to others that I serve—the best way I could continue my own journey with this powerful modality of healing was to learn how to share it! Heroes are not born under perfect circumstances. In fact, like in our stories, it is the very stuff of life, messy, complicated, painful, distressing and even traumatic, that allows us to undertake the hero’s journey and find new gifts to share with the world. For us (Jamie & Rajani), EMDR therapy is the magic wand, the sacred chalice, the ruby slippers & the technicolor dreamcoat, that allows us to contribute to the healing of others. Like the many superheroes we’ve come to love and the mythical tales of remarkable individuals gaining their superpowers, there is an origin story to EMDR therapy itself, which is quite remarkable. In the next part of this series, we introduce you to the breakthrough discovery of Dr. Francine Shapiro that has been changing millions of lives around the world. 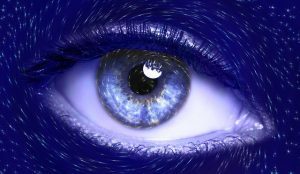 *The statements made in this article do not necessarily represent the position of the EMDR International Association (EMDRIA). 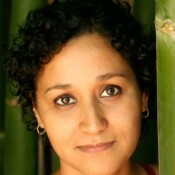 Share the post "EMDR Therapy and the Hero’s Journey, Part 1"
Rajani Venkatraman Levis is an immigrant therapist of Color who speaks five languages and artfully navigates the intersections of trauma with race, class, ethnicity and other facets of diversity in her writing, teaching and psychotherapy practice. She is a California Licensed Marriage & Family Therapist, a Certified Trauma Specialist and an EMDRIA Approved Consultant in EMDR. She has a thriving private practice in Noe Valley and teaches at San Francisco State University. She is a valued mentor, especially for students and therapists of Color.